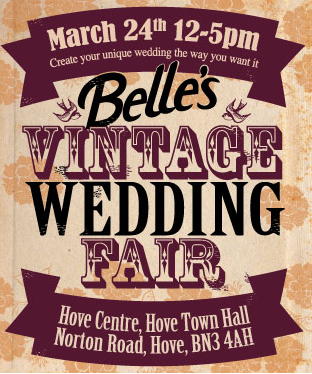 Kelly started Belle’s Events in 2012 and her first ever fair was Belle’s Vintage Wedding Fair at Hove Town Hall where she was working in the events office. After a rather disastrous visit to a local wedding fair with her beautiful car Belle www.sussexlovebug.co.uk Kelly was on a a mission! Her vision was to create a fair for couples and suppliers to come together under one big vintage inspired roof to chat, enjoy the atmosphere and discover that there are people out there that will love what you do or simply ‘get you’, that’s what it’s about after all, finding the right person to help create your vision. The fair attracted couples from near and far who were desperate to find something different, something unique, something really special. A year on and with 7 fairs under her belt we are very excited about Belle’s Vintage Wedding Fair number 4, she’s gone all out this time and has been blown away by the sheer amount of contacts she has had since Christmas. When I spoke to Kelly she told me that she is most thrilled that she has regulars now, it’s something she never thought would happen and she really does appreciate them. 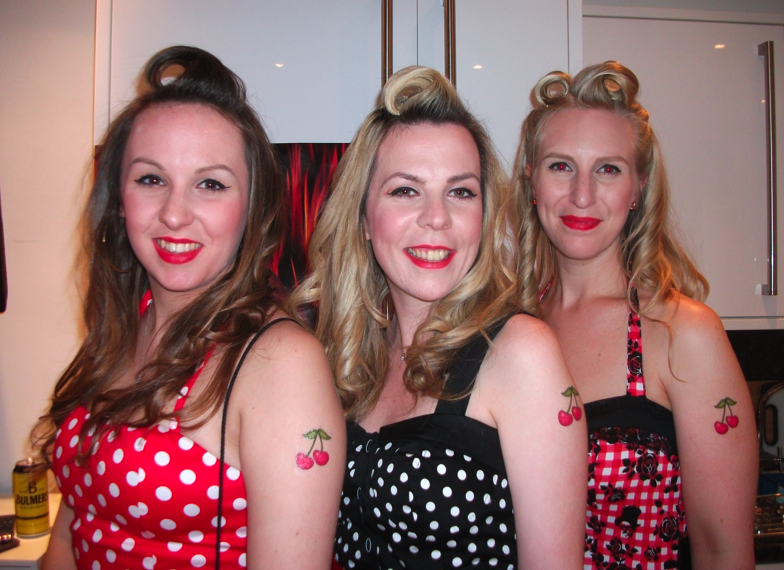 The entertainment that Kelly has arranged for Belle’s Vintage Wedding Fair is a reason on it’s own to visit on the day. Johnny Zero, Kelly’s right hand man on the day will not only be crooning his way around the event but has created a wonderful line up of acts including Cherry Morello, Maria Soriano, Mr Tunes Vintage DJwho recently wowed Kelly at the Doily Days Loves Weddings Magagazine launch party. Also the wonderful Noelle Vaughn, not to mention the brilliant Anna Sin and the Jukebox Bandits. These acts will be playing throughout the day in different locations and will be available to talk to about booking them for your wedding. Being a crafty kind a girl I am most excited about the new addition to Belle’s Vintage Wedding Fair, The MAKE Fabulous Wedding area run by Donna Hogarth of Fabulous Flora. This area will give crafty, DIY brides the chance to try their hand at crafts that will help them to make special handmade pieces for their weddings. Recently Donna ran this area at Belle’s Bridal Boot Fair and had brides making their own jam jar flower displays, it’s such a great idea, take your Mum and Bridesmaids along to have a go too, you never know, this could save you a few pennies and turn out to be a whole lot of fun, Donna also run hen packages. 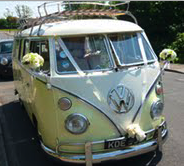 Outside Belle’s Vintage Wedding Fair you will obviously be able to meet Belle herself in all her glory, VW Splitty Wedding Hire , Crepe Lui and the cutest little caravan in the world, The Tinderbox. Inside there will be over 50 vintage inspired wedding suppliers to speak to during the day, each of them really talented and inspiring. 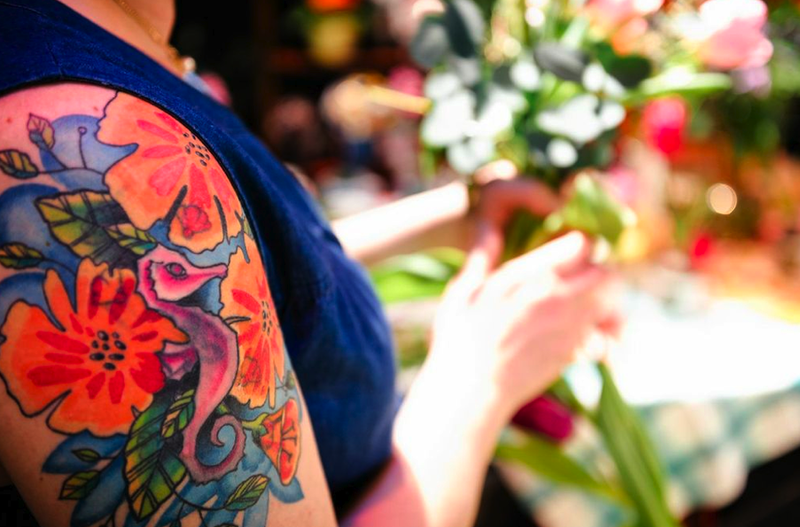 Kelly’s fairs are not like your average wedding fairs, if you haven’t been to one yet this is the one to go to, even if you’re not getting married it really is a fun day out. Egg & Spoon will be there with a pop-up tea room too so you can stay for lunch. I would advise that you take some cash on the day as stall holders will be able to take deposits and there will be a chance to have your hair and make-up done by Coco Belle Styling or Pretty Pout. If you are one of the first hundred through the door you get a complimentary glass of processco served by Glass Acts who hire out crystal glasses for weddings. 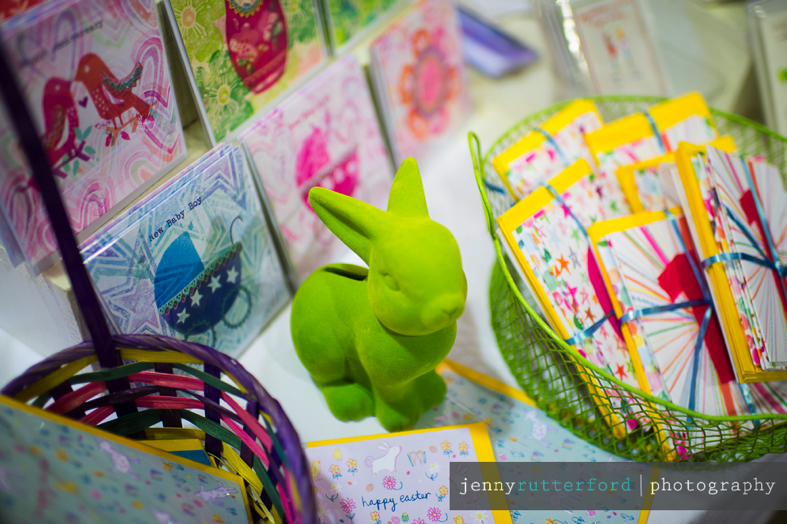 The Fairy Tale Fair Featured on Crafts Institute! The Fairy Tale Fair on Saturday was a great success! 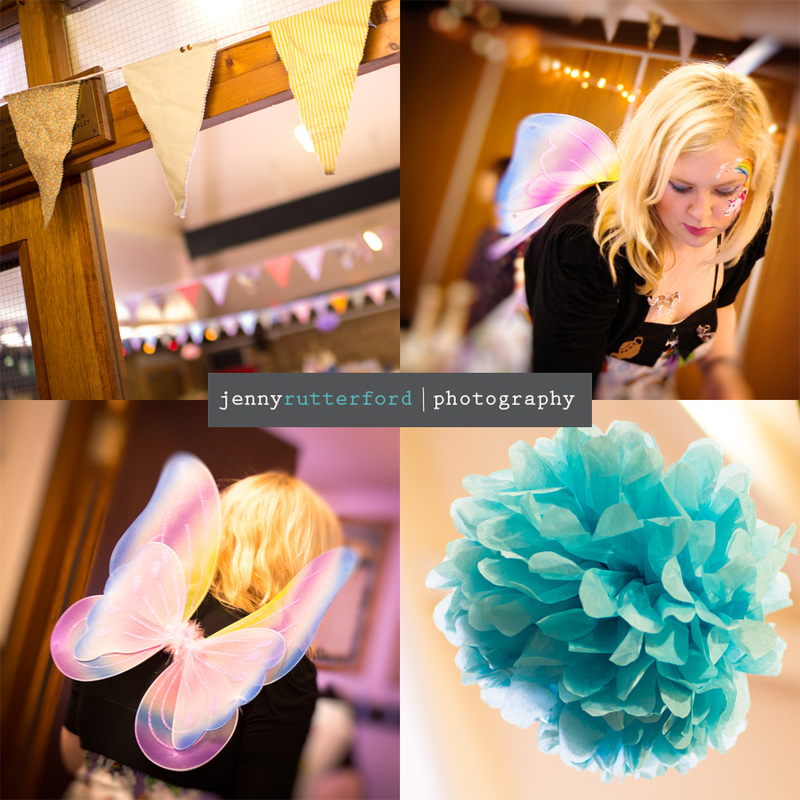 The weather was a little dull outside but inside it was full of colour and whimsical creations! 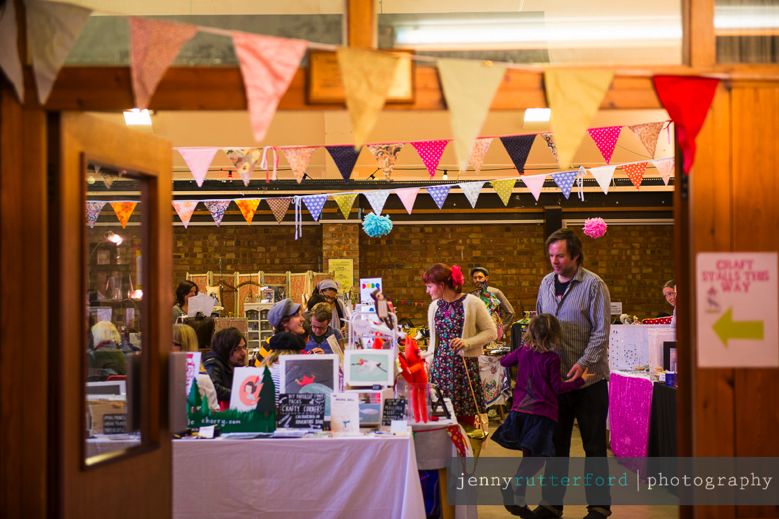 Over 35 stall holders helped make the day extra special with their wonderful handmade creations! 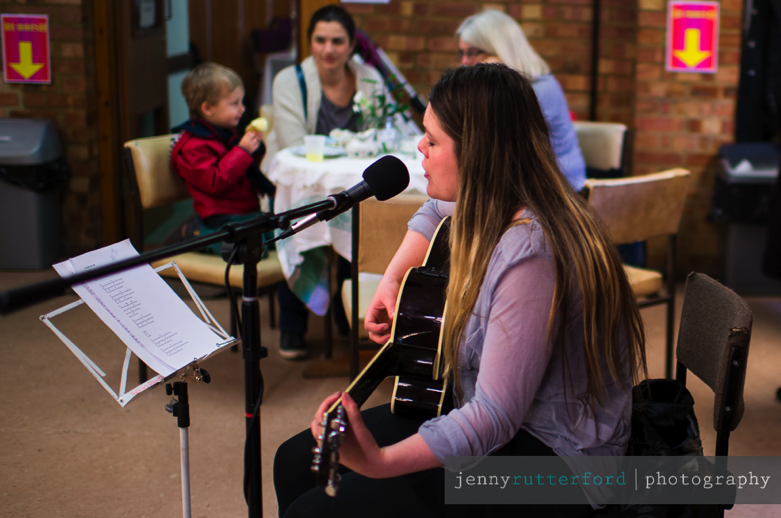 Mayflower events did a great job on the tearoom again, with the most amazing homemade cakes, and the workshops and face painting were very popular with the kids once again! We had visitors from near and wide including West Sussex, Kent, London, Arundel, Worthing, Surrey and more! One of the visitors was Christiane Berride from Crafts Institute and editor of Dolls House Magazine. 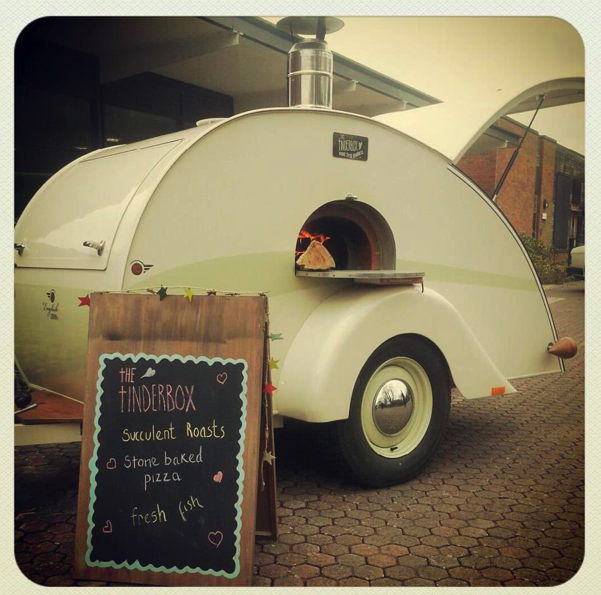 She was very impressed with the fair, so much so she wrote up this lovely blog post about us! Take a read here. The Crafts Institute is also a very useful site to take a look around! We look forward to our summer fair (details announced soon), and we will share all the professional photos of the day as soon as we get them back! The Fairy Tale Fair is TODAY!!!! Well the day has finally arrived and the fair is indeed today! We hope lots of you can make it along for handmade crafts, mum’s day & Easter gifts, workshops, kids activities, our vintage tearoom and much more! It’s a little gloomy outside, but don’t let that put you off! Our fair is entirely undercover, there is FREE parking and the bus stops just 30 seconds around the corner. You can keep warm and dry in our fair all day if you wish! Keep the kids amused in the workshop room and get their faces painted! Find mum some beautiful mum’s day gifts, treat her at our vintage beauty stall. Support our local makers and buy your gifts handmade this year- they make unique, one off persents and are made locally with lots of love. Treat the whole family to cake and yummy items in our vintage tearoom, with teas and coffees served in vintage china too. 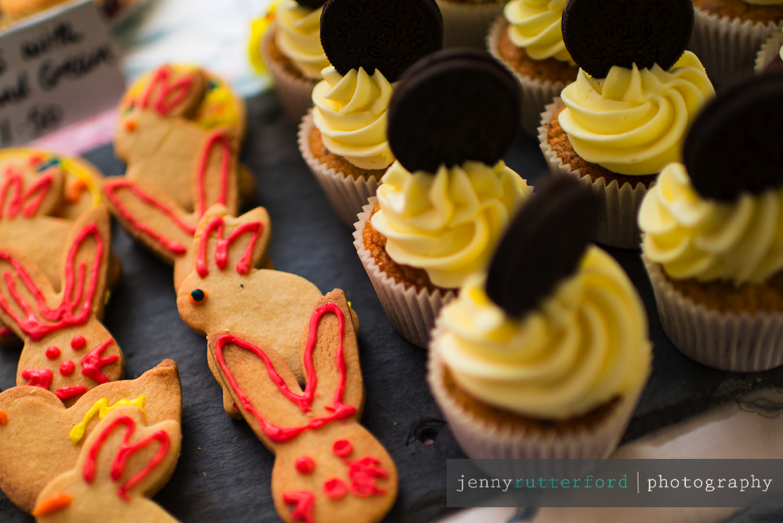 Take part in our raffle for your chance to win our amazing Easter hamper- full of cute, yummy and crafty delights! We are open from 10.30am to 4.30pm. 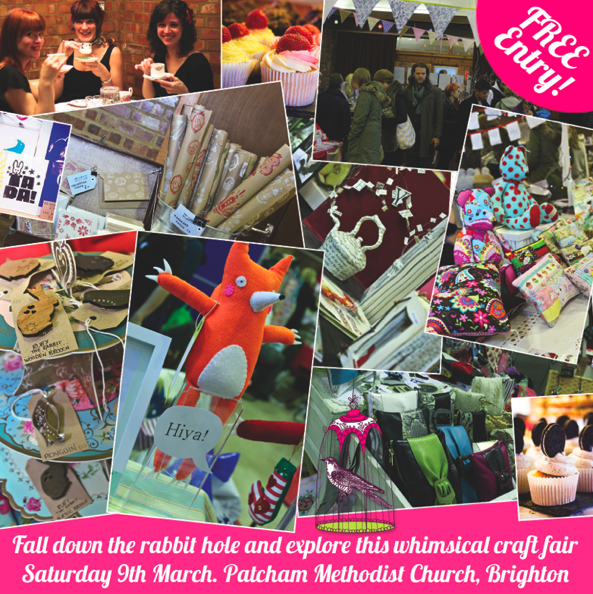 Find us in Patcham Methodist Church, Ladies Mile Road, Brighton. See full location details here. FREE parking, buses 5 or 5A Patcham- ask for the clock tower stop, and walk 30 seconds across the zebra crossing around the corner. They run every 10 mins. 1 Day To Go Until The Fairy Tale Fair!!! Where has this week gone! 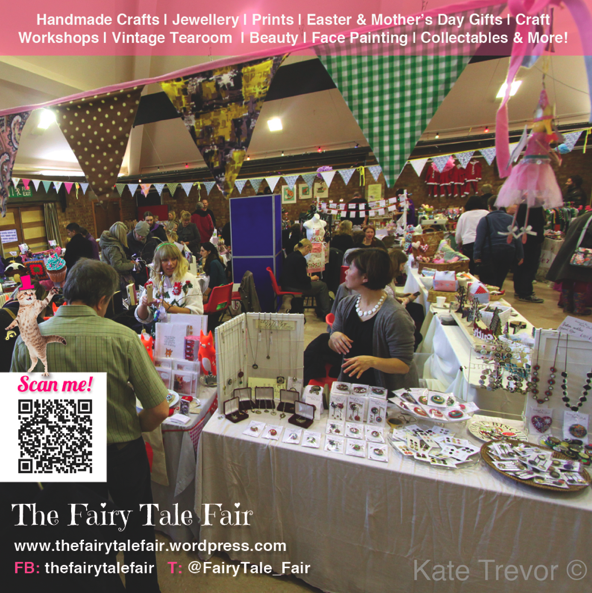 Just 1 day to go- The Fairy Tale Fair is tomorrow!! 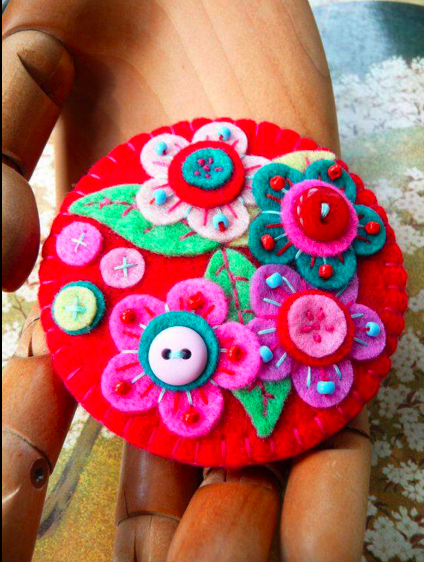 1 day to go, and reason 1 to visit our fair: Unique, handmade crafts- made with love by local makers! Don’t miss out on this opportunity to buy one off handmade creations from local makers. These are items you won’t find on the high street and are completely individual. It is great if lots of you could come along and support the local makers who have worked hard to make lots of lovely creations for you to buy at our fair. 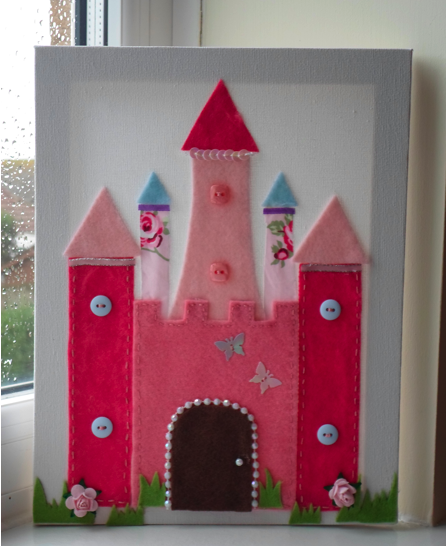 Cards, prints, jewellery, accessories, candles, vintage items, bags, purses, kids accessories, badges, mirrors, mosaics, felt creations, glassware, original artwork, knitted items, teddy bears, cute creations and much more! We’ve got something for everyone! 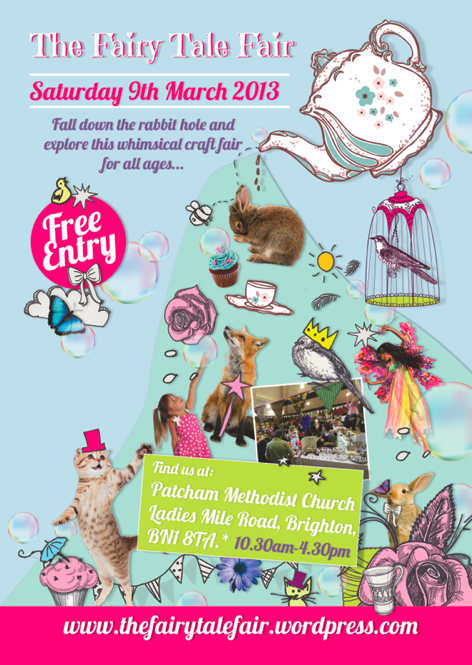 Find us at Patcham Methodist Church, Ladies Mile Road, Brighton. Open from 10.30am. View full contact details here. 2 Days To Go Until The Fairy Tale Fair! Need something to keep the kids amused this weekend? Tired of dragging them around town? Want something different to do? Looking for a family activity for Mother’s day weekend? Well we’ve got it covered! 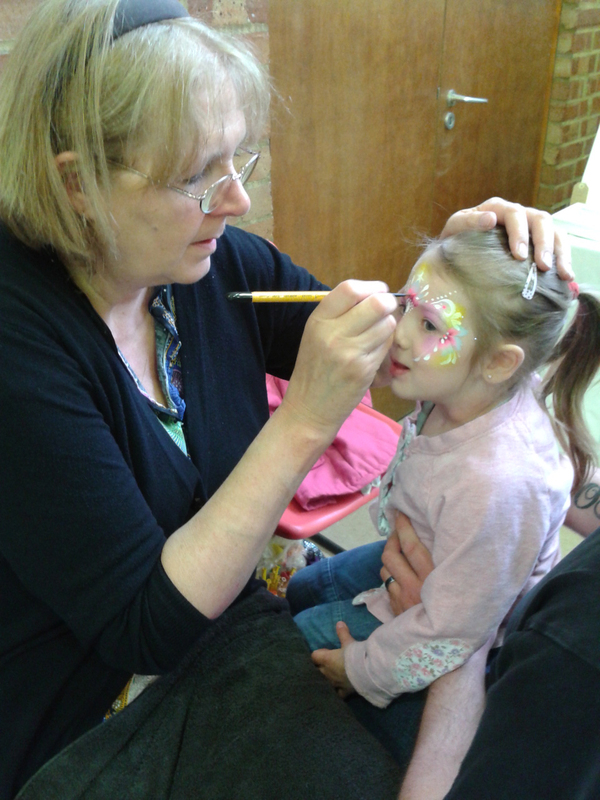 At The Fairy Tale Fair as well as over 35 craft stalls with lovely handmade creations and gifts you’ll also find face painting by Sparkles Face Painting- many visitors commenting ‘the best face paint we’ve ever seen’ at our previous two fairs! There is also craft workshops- make your own bead jewellery, learn to crochet, take part in our felt workshop, make your own cake themed clay jewellery, or be pampered in our vintage beauty parlor! 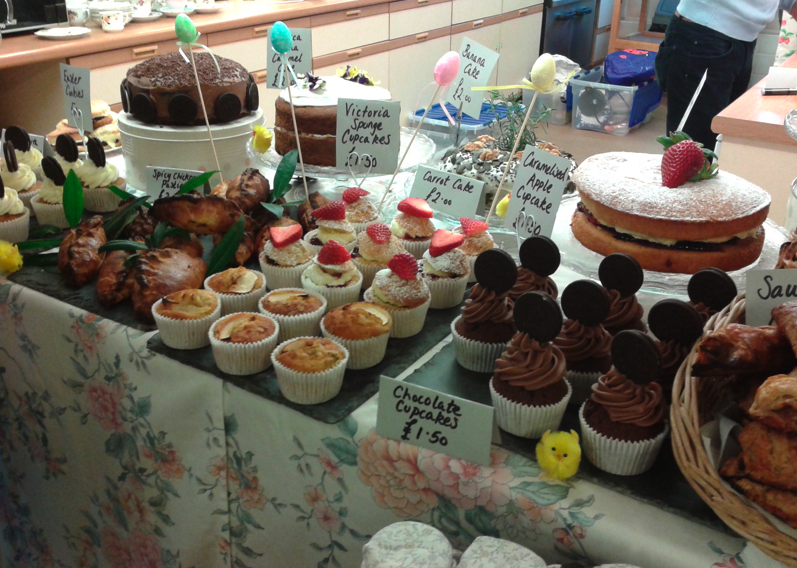 You can also enjoy tea and cake in our vintage tearoom, have the chance to win a Easter hamper in our raffle, listen to our performer Bryony Brooke singing and much more! It’s a perfect day out for all the family- so bring your children, partners, parents, grandparents, friends, neighbors…everyone you can! 3 Days To Go Until The Fairy Tale Fair! Time is ticking by and now there is just 3 days to go until The Fairy Tale Fair! Our Vintage Tearoom! This will be run by the amazing Mayflower Events, who will be providing us with beautiful homemade cakes, yummy spring time treats, Easter themed biscuits, savories and teas/ coffees served in vintage china. 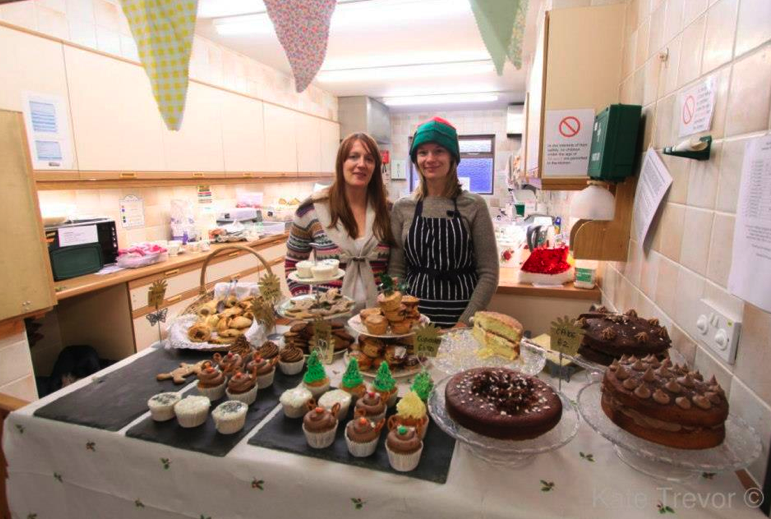 Mayflower Events also we in charge of our tearoom at Christmas and in the summer and on both occasions we had such positive feedback on their yummy creations- in fact they completely sold out both times! 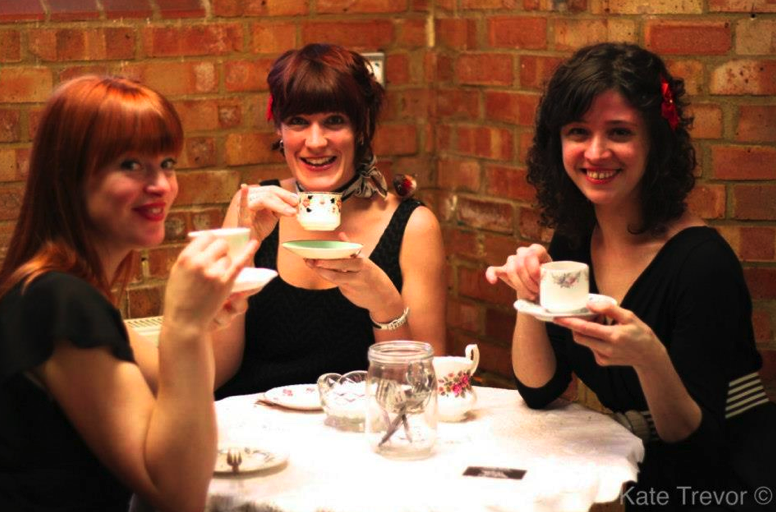 ‘The Close Shaves’ vintage singers enjoying tea! 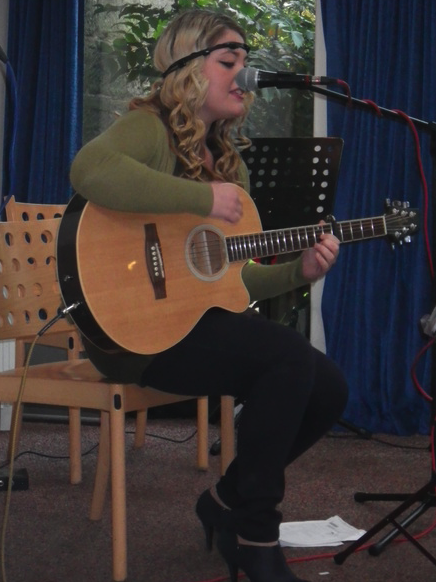 Also in our tearoom Bryony Brooke, a talented singer and songwriter, will be performing for us which we are really excited about! She will be performing from around 11am so make sure you don’t miss her! Read her interview with us here. 5 Days To Go Until The Fairy Tale Fair! The Fairy Tale Fair is now just 5 days away! How time is flying! Still so much to do this week including thousands of flyers in homes in the local area, posters, a newsletter, more stall holder interviews on here and much more! 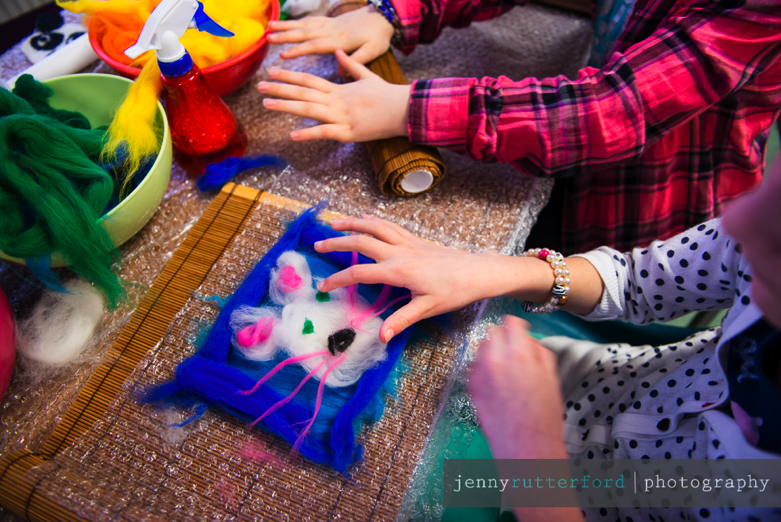 Reason 5 to visit our fair: Take part in a workshop & learn something new! 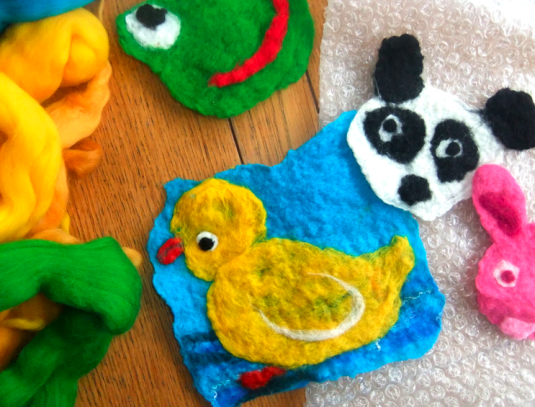 – Karen Rao Felt Artist- make your own gifted felt items. 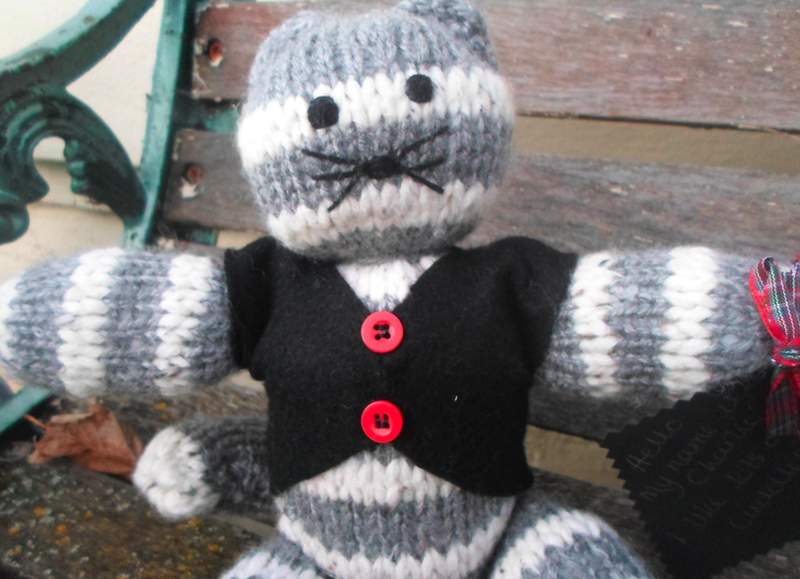 Gift a Brighton rock or soap, or make your own felt Easter chick. Learn to felt with a simple technique using only water. This is a great workshop for all ages and Karen will be on hand to teach you step by step. 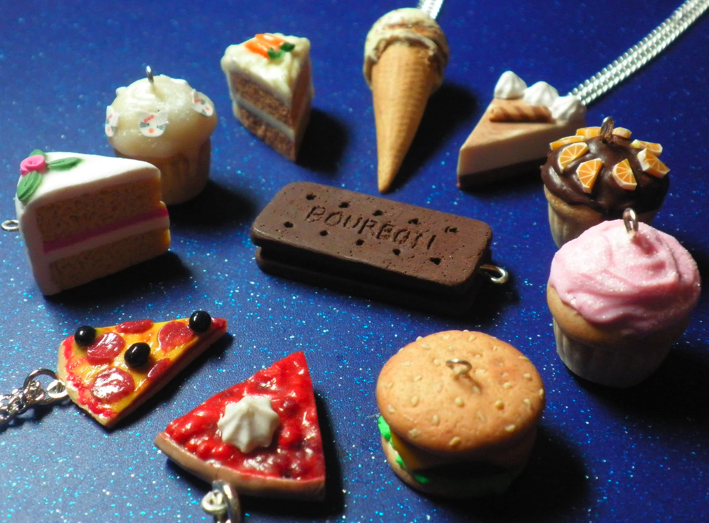 – MiniPatisserie- Learn to make cute cake themed jewellery from polymer clay and take home to bake yourself! Much fun for all ages! 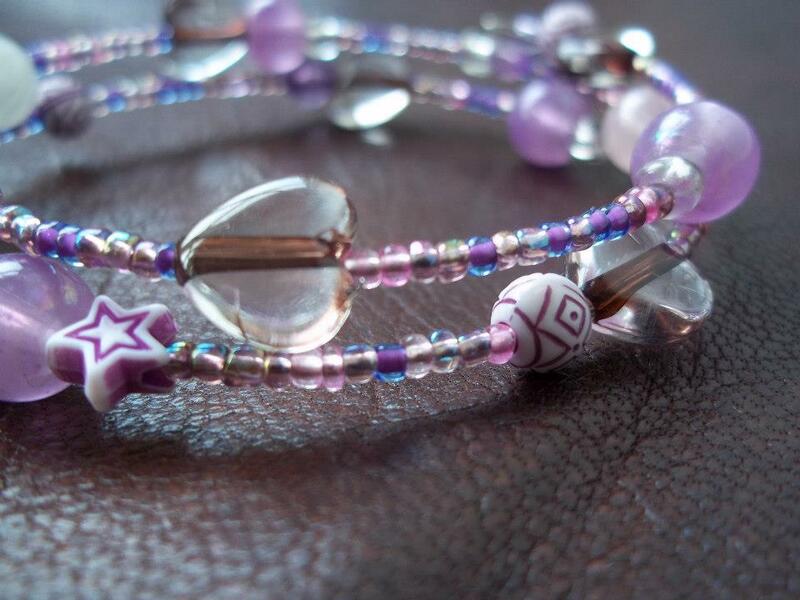 – Show Me Shiny Things- a bead workshop, kids and big kids can come along and make some lovely jewellery from a great range of beads. Perfect to keep the family amused or as a unique Mum’s day gift! -Sugarglass- a crochet workshop for all ages. Learn the basics of crochet, watch it demonstrated and follow simple patterns. Don’t miss these workshops at The Fairy Tale Fair this Saturday the 9th of March! Open 10.30am- 4.30pm. You can also find face painting and balloon modeling in the main hall plus lots more! Need help finding us?- Click here for details. Tell us a bit about Mayflower events and how it started? 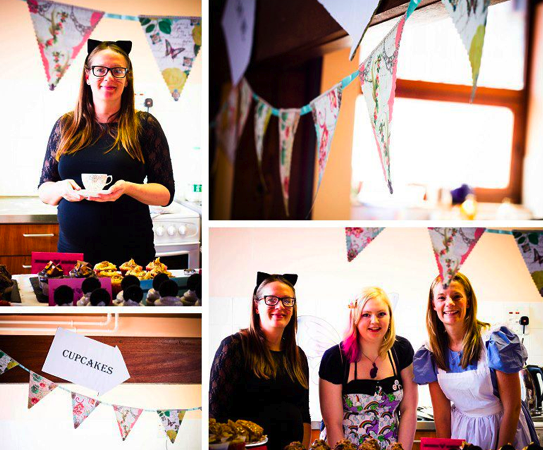 Mayflower Events was started by three sisters, Lucy, Robyn and Harriet a few years ago – it combines our mutual love of good homemade food and pretty vintage china. We love baking cakes and other sweet treats and then serving them at tearooms and other events on our beautiful vintage china. 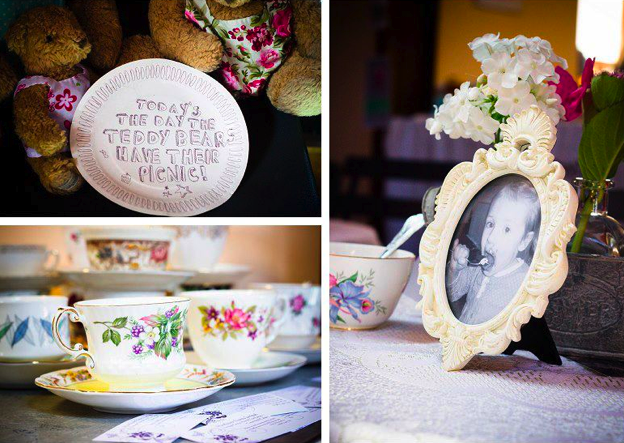 We have a great selection of pretty tea pots, cute tea cups & saucers, cake plates sugar bowls and milk jugs that we hire out for events such as weddings, baby showers and christenings. The best bit about Mayflower Events is getting to bake beautiful cakes and share them with people, all served on pretty vintage china that we have been collecting for years. 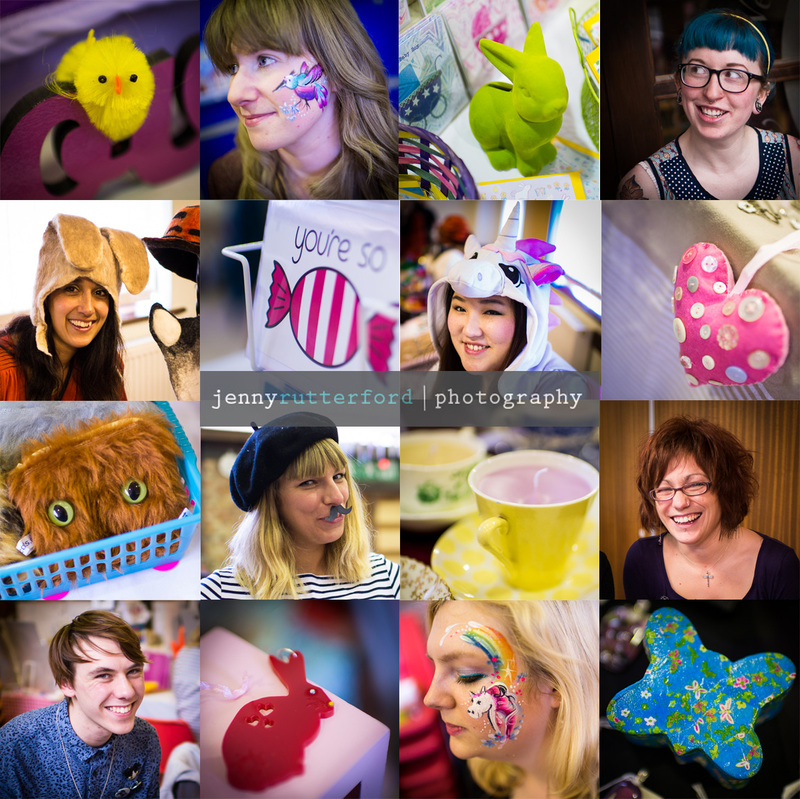 We get to meet lots of lovely people, and be part of some wonderful events – a perfect job! Do you have a bestseller? We sold out of all of our cakes and other treats at the last two fairs so it’s very hard to say what was our absolute bestseller as everything went so quickly! However, our lemon drizzle cake is always very popular – the key to a good lemon drizzle is getting lots of lovely zesty lemon flavour into the cake to balance the sweetness of the sponge and the homemade sausage rolls received really good feedback. You took part in our previous two fairs, did you enjoy them? 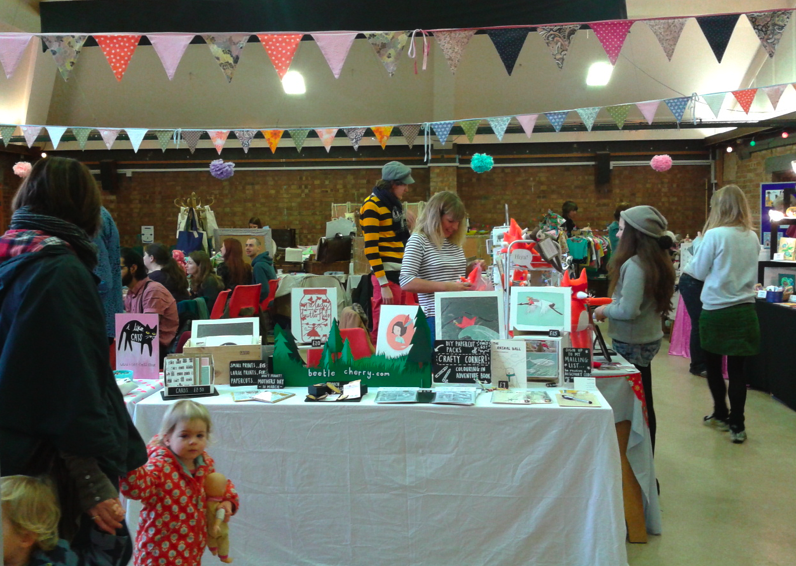 The last two fairs were fabulous fun – so many good quality, talented craft stalls run by some wonderful people. As soon as the doors opened, the fairs were jammed full of visitors having a great time. 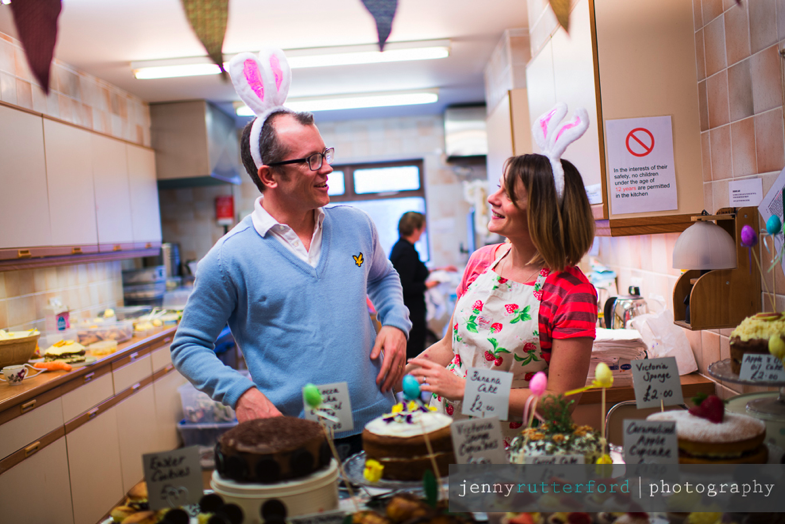 What treats can we expect from you in our spring vintage tearoom? 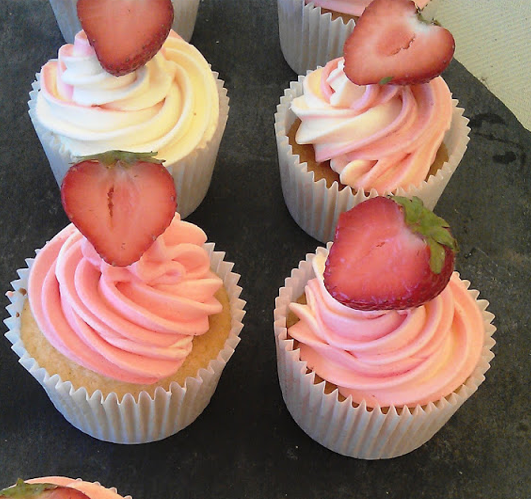 We have lots of yummy treats planned for the vintage tearoom in Spring – all of our food is homemade with really good quality ingredients. 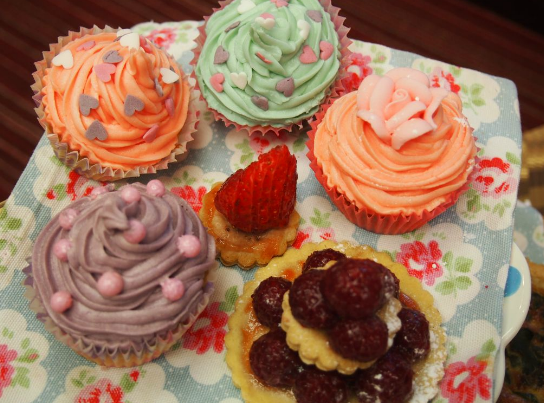 There will be the usual delicious cakes including carrot cake, coffee cake, apple cake, victoria sponge and also cupcakes, Easter cookies, hotcross buns and then some savoury items such as sausage rolls and pasties filled with a spicy chickpea, tomato and spinach mix. My name is Angela and I love making things! I have always been involved within the performing and visual arts and never feel quite whole unless I’m involved in something creative…I paint primarily and illustrate. My Unbreakable Hearts are a collection which I began after experimenting with various materials to create something hand made and practical. I was searching for a durable beauty. 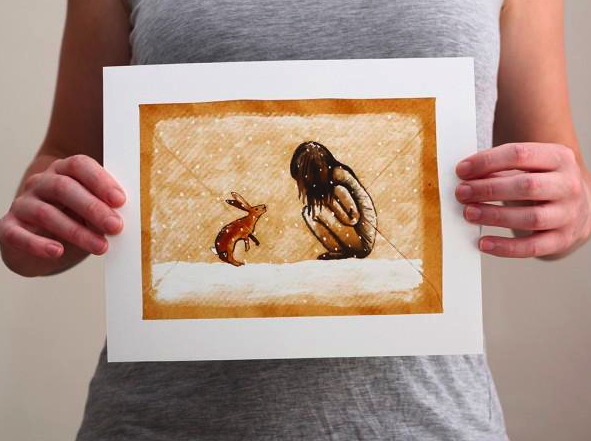 They are all hand drawn/painted and decorated using a variety of methods. Colourful, fun, cheeky, playful, experimental and honest. The Unbreakable Hearts were ‘born’ about two years ago. 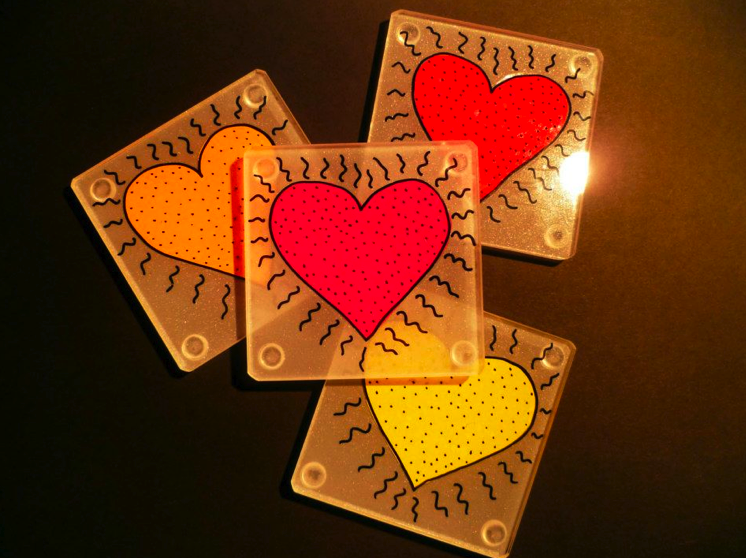 The idea came after a friend broke up with her boyfriend and at the time I was drawing on a pieces of perspex and I thought how wonderful if hearts could be as unbreakable as perspex. Hence the name and the obsession with hearts! My naughty coasters and paperweights which feature lacy and racy underwear have proven to be quite popular and enjoyed by men and women! That I can get lost in my own world of colours, pens, paintbrushes and glue and just PLAY! I also love doing bespoke orders because I can create something out of other peoples images and thoughts; it’s like translating their ideas into another form. I have had a stall in several other markets: The Brunswick Craft Fair, Art Junky and the Brighton Craft Fair. I was also part of a great exhibition/event at the Basement called “Hydrobloom” which was organised by a couple of very talented lasses. I’m very excited to take part in the Fairy Tale Fair though because it was the first fair I visited when I moved to Brighton 6 months ago! 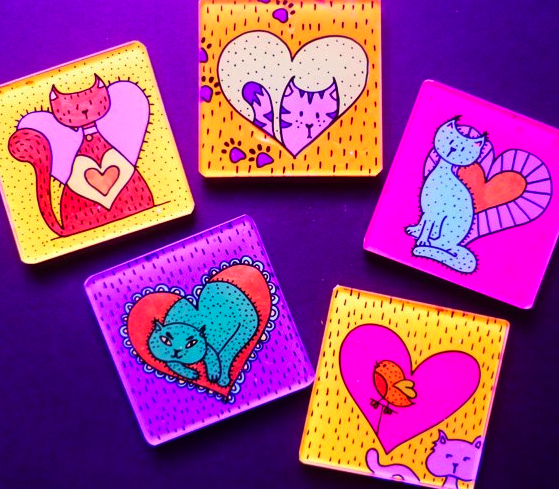 Coasters, paperweights and magnets galore! 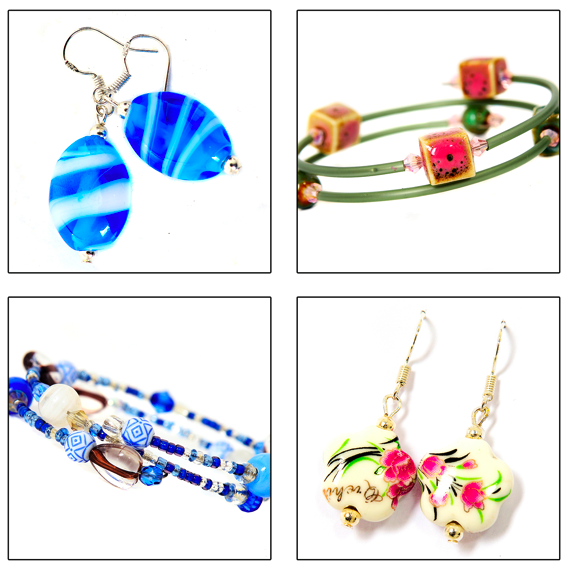 They are all different sizes and styles so there is something for everyone and their pocket! I will also have some one off Mothers Day illustrations. 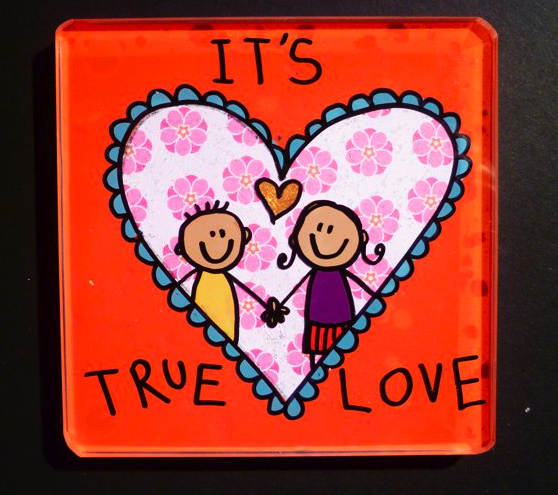 I want every household to have at least ONE unbreakable heart! We look forward to welcoming Angela this Saturday the 9th March! Find her in the entrance hall. “There’s something very satisfying about smashing up tiles, and piecing them back together like a puzzle!”– Fliss. I’ve made some little silver earrings using ceramic star shaped beads, with Chinese designs of flowers & leaves on them. These were popular Christmas presents! As my business name suggests, I’ve always been quite a magpie, so an excuse to collect shiny & colourful things is great in itself! 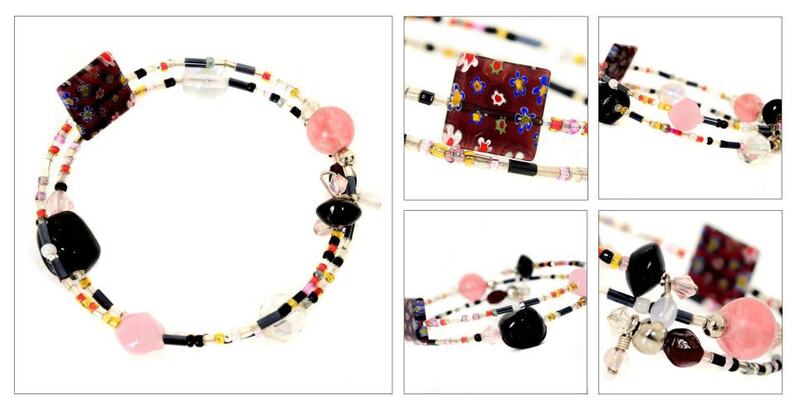 Combining them to make jewellery other people enjoy wearing it a great feeling. & with the mosaics, there’s something very satisfying about smashing up tiles, and piecing them back together like a puzzle! 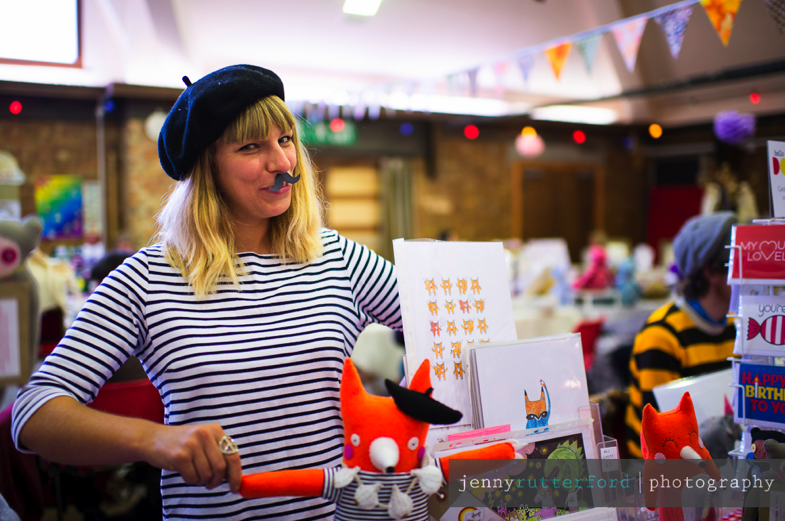 I’ve been to a few different craft fairs in Brighton. 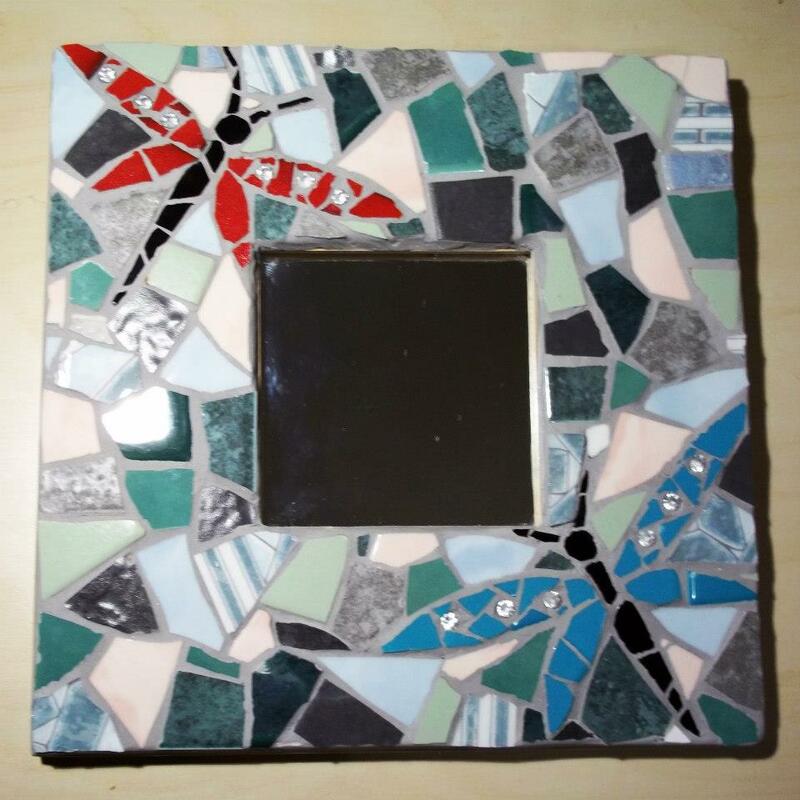 Crescent Studio, where I make my mosaics, has an Open House coming up in May. I will be running a workshop making memory wire bracelets. Adults & children are welcome to come & make a bracelet, I’ll be on hand to help. 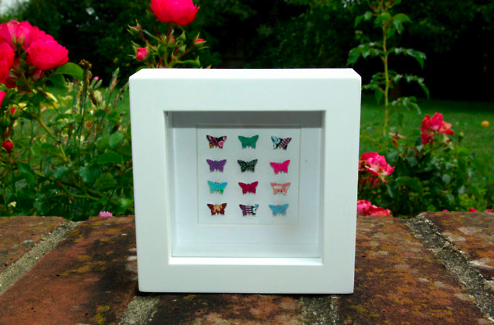 A perfect little pressie for Mothers Day?! I will have a range of beads with me, in lots of colours and materials. 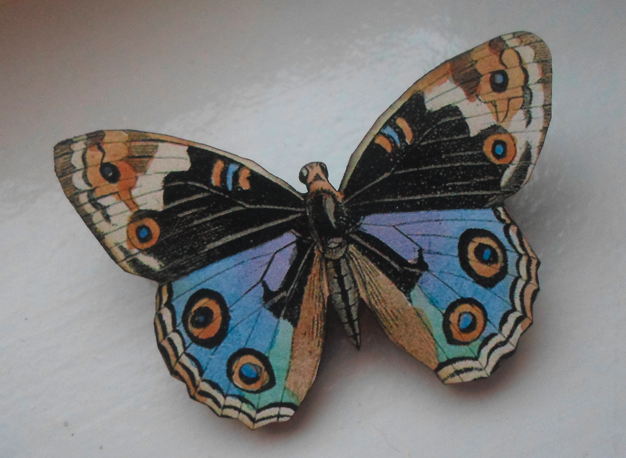 I’d like to have more time for my jewellery and mosaics, & ideally work a bit less & craft more! It would be great to get my mosaics into Brighton shops, and to get stuck into some large projects! 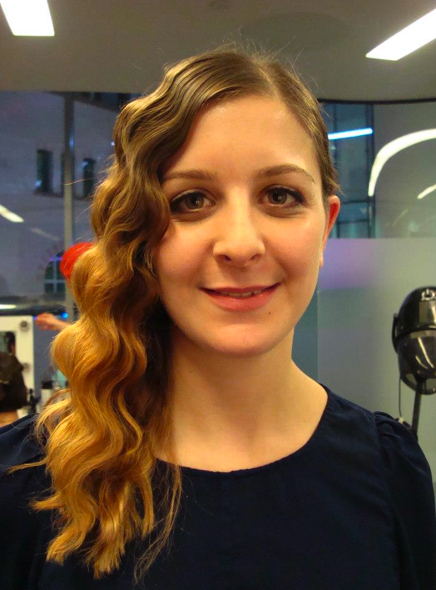 Today we meet Hayley of ‘The Beauty Artist’. She will be providing vintage beauty make overs, nails, glitter tattoos and more at The Fairy Tale Fair on Saturday the 9th March- perfect treats for Mother’s day or pre-Saturday night out! Make sure you pre-book to avoid disappointment on the day! I am a Make-up Artist and Hairstylist based in Brighton offering a full range of make-up and hair services including vintage styling. What do you enjoy most about being a Make-up Artist? I like the variety and the fact that no person is the same. It’s always exciting to interpret what the customer wants and see them smile when they look in the mirror. I also love problem solving on customers such as those who suffer with redness or rosacea etc. It’s always a nice feeling when you can show them that they can have the make-up they want and feel confident. 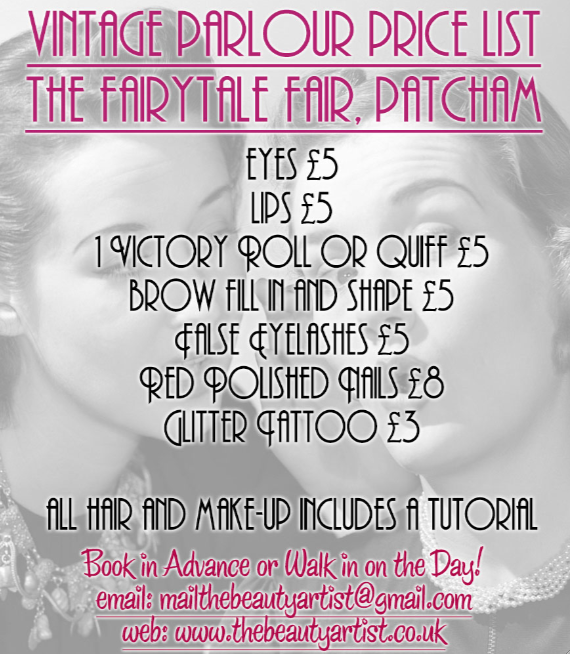 You will be providing a vintage parlour workshop for The Fairy Tale Fair- what will your parlour involve? 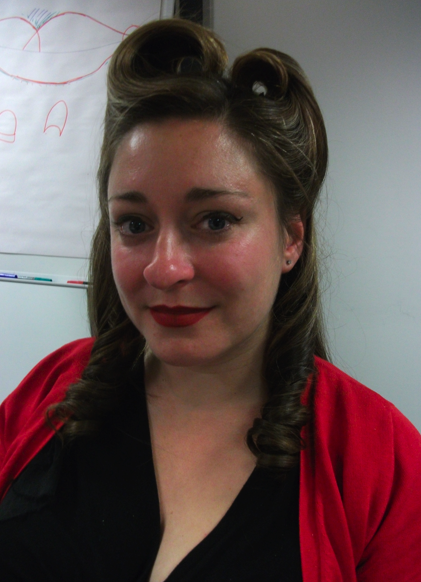 I will be offering a range of taster vintage hair and make-up sessions from false lashes to victory rolls. I will also be offering glitter tattoos for children and adults who fancy it! 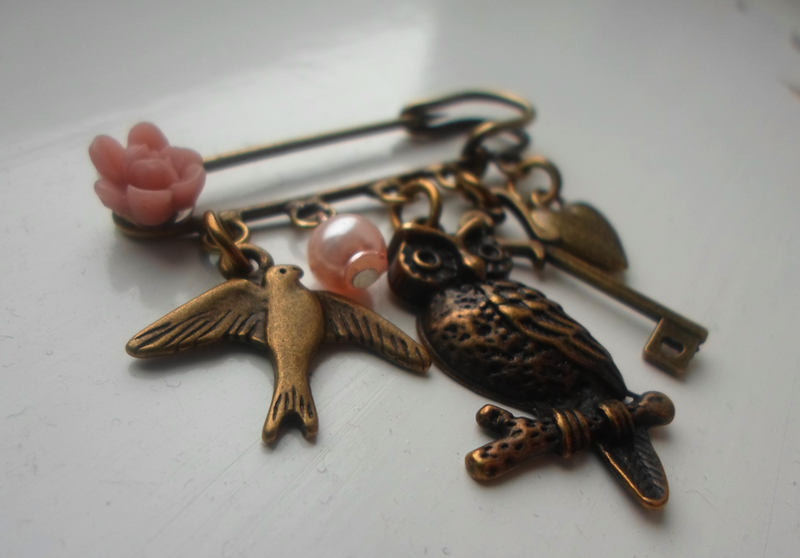 Plus I will be selling a range of vintage inspired pretty products for customers to take away and use/gift to someone. I will also be offering tutorials on how to do various make-up and hair styling. Can people pre-book with you, or find out more? 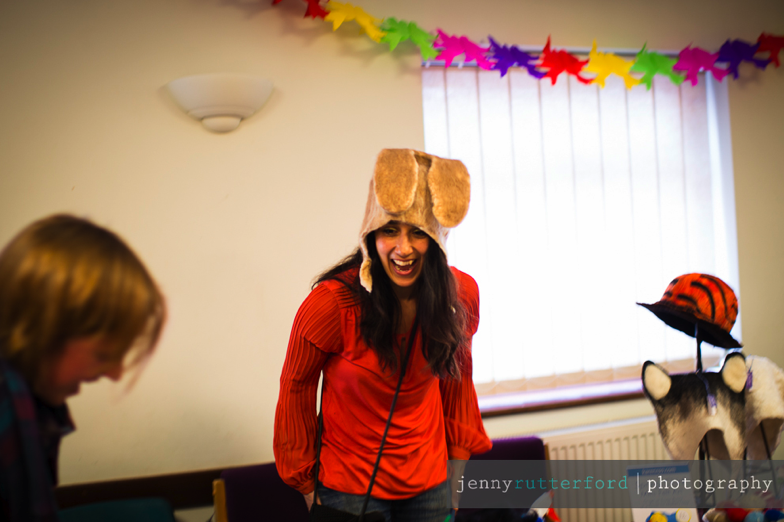 You took part in our Christmas Fairy Tale Fair- did you enjoy it? Yes I did, it was so much fun! I can’t believe how many people came along especially considering how grotty the weather was. There was a lovely atmosphere there on the day and I loved the variety of different stallholders who were there. Everyone who attended looked very chuffed with the fair. It’s been a great achievement establishing a name for myself as a vintage styling expert over the past 6 years and I am pleased to have been one of the first, if not the first, to bring vintage styling to Brighton many moons ago! Going forward, a natural progression for me eventually will be going into teaching new stylists as I mentor a few new stylists now. I am excited to see what the future holds for The Beauty Artist! 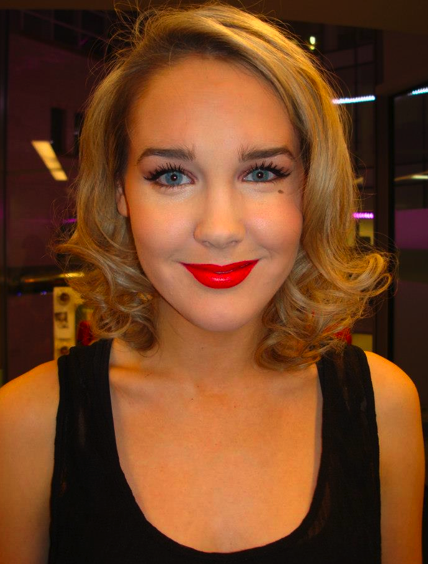 Find out more: www.thebeautyartist.co.uk and email mailthebeautyartist.co.uk to book now- don’t miss out! 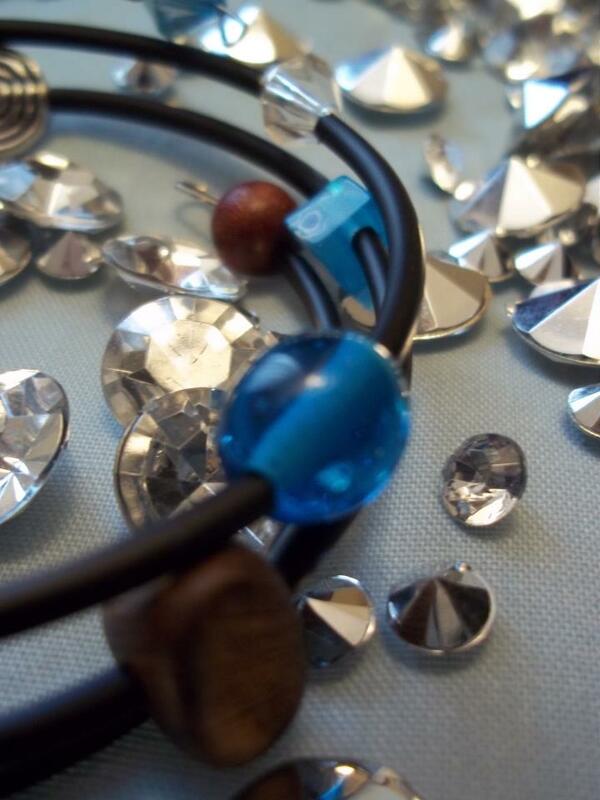 “I enjoy seeing customers walking away from my stall, putting their newly purchased studs and hairgrips in. 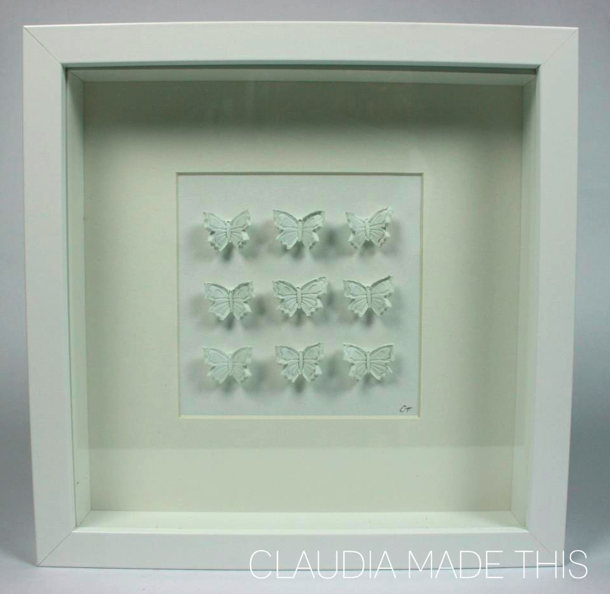 It’s lovely to see someone really appreciating your work.”– Claudia. 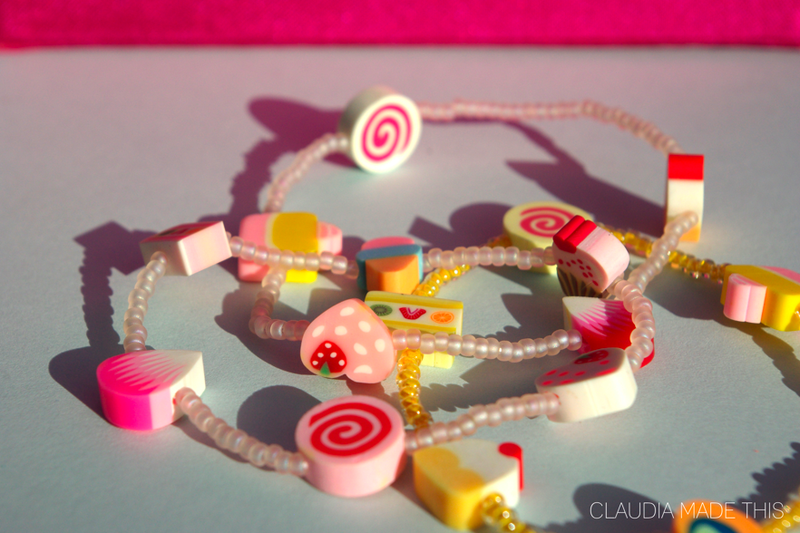 Claudia Made This is a range of jewellery and 3D boxed prints made by Claudia Thomas, using fimo, clay and paper craft to create charming and sweet designs, suitable for children and the young at heart! Something a bit different, a little bit kooky! I started making craft items 2 years ago in my summer break from University. 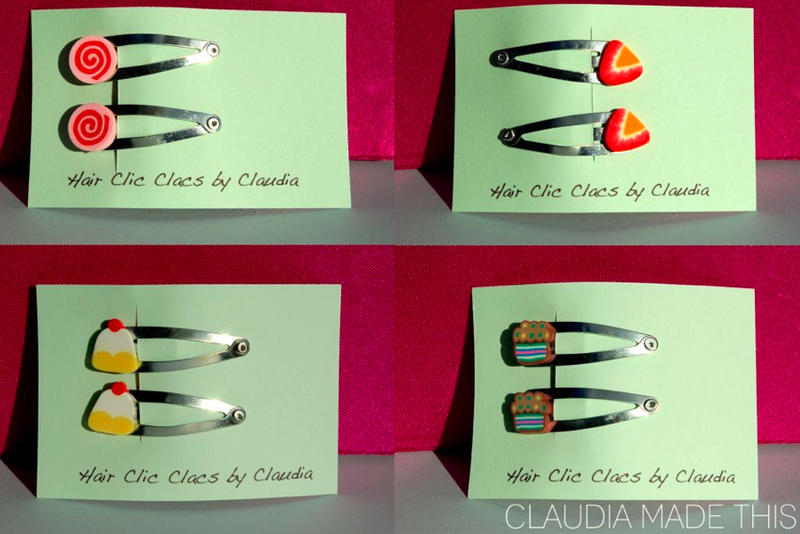 My cute character Clic-Clac hairgrips are always popular as they are great for smaller children and there are so many colours and designs to choose from! I enjoy seeing customers walking away from my stall, putting their newly purchased studs and hairgrips in. It’s lovely to see someone really appreciating your work. 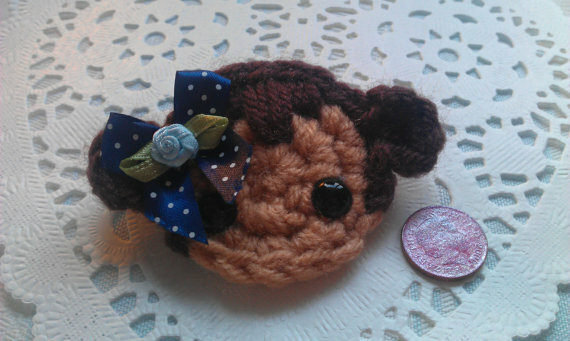 Yes, I am going to be taking part at Craftganza at the Fabrica Gallery and have also sold at The Brighton Craft Fair. 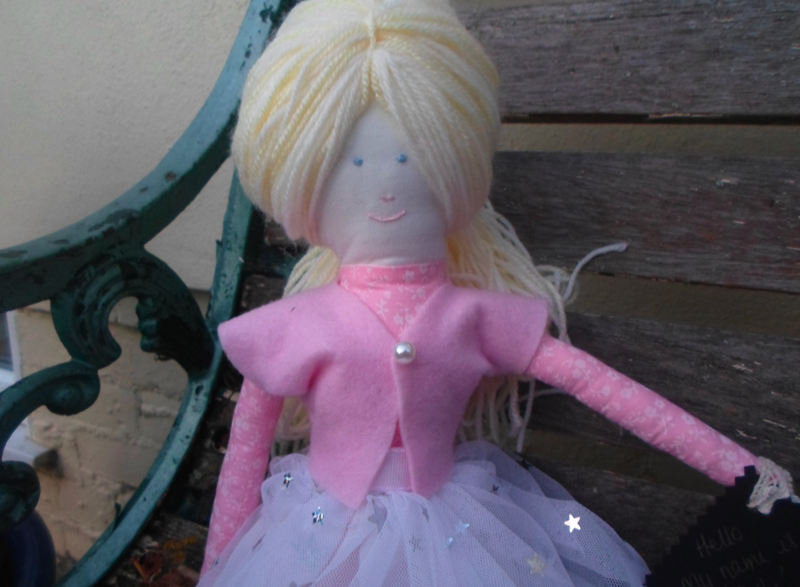 I have previously taken part in a pop up shop in Rottingdean and I’m always on the look out for new opportunities. 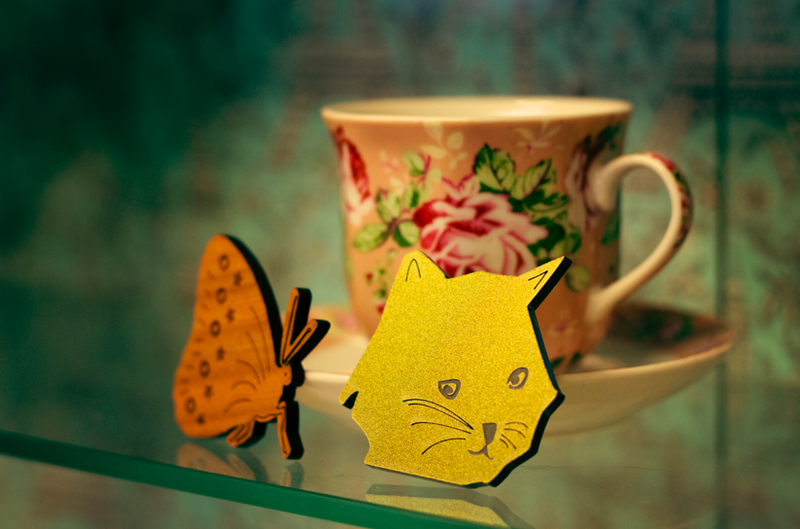 I will be selling a range of delightfully imaginative 3D prints, which would make perfect mothers day gifts. 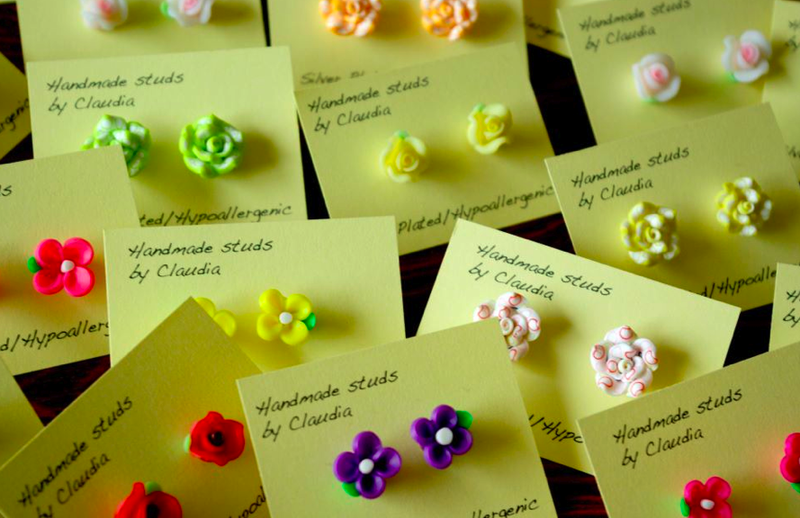 For Easter my earrings and hairgrips would make affordable gifts for those who don’t like chocolate, or just fancy something a bit different this year! I am currently in my third year at Kingston University studying Graphic Design. 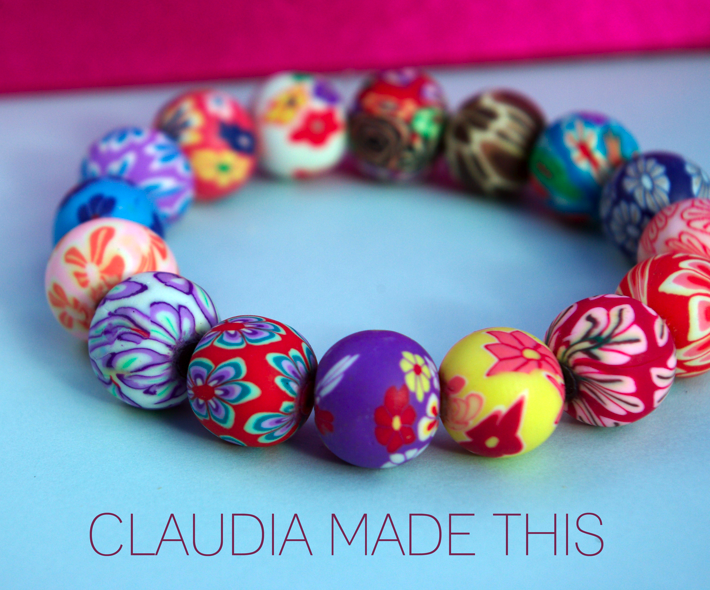 After I finish, I hope to make Claudia Made This a successful small business, doing markets more regularly and supplying my designs to shops and boutiques all over the country. 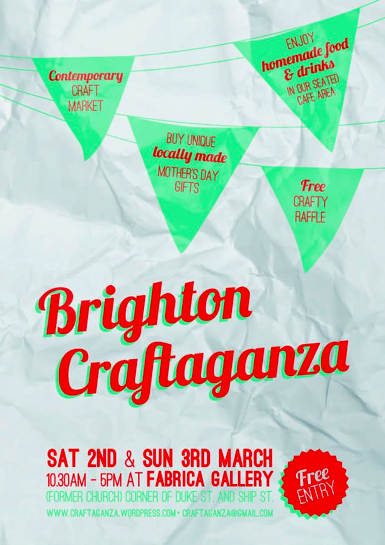 Brighton Craftaganza returns to the Fabrica Gallery on Saturday 2nd and Sunday 3rd of March. The online buzz about Brighton Craftaganza shows that the event is fast becoming the hippest handmade selling event in Brighton. The Spring Craftaganza is scheduled to provide a handmade alternative for Mother’s Day which follows on March 10th. 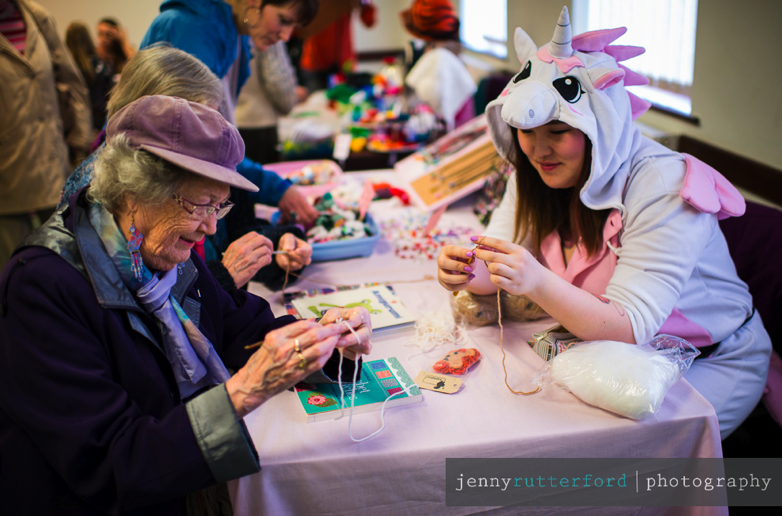 Thousands of shoppers visited the Christmas event in December, many of whom were surprised to discover ‘this ain’t your Grandma’s craft fair’. The Craftaganza Christmas Market was covered by Brighton’s Source magazine and The Argus who published a large photograph on page 7 of their 12/12/12 issue. Sellers also praised the event on Twitter and Facebook and are now looking forward to the March market. The event is in it’s third year and showcases mainly local talent with some curated designers from further afield invited to come down. The ethos is to encourage people to shop for locally handmade gifts instead of on the high street. Money spent at Craftaganza supports the vibrant local scene which rightly gives Brighton it’s reputation as a creative city and is also an ethical shopping alternative. 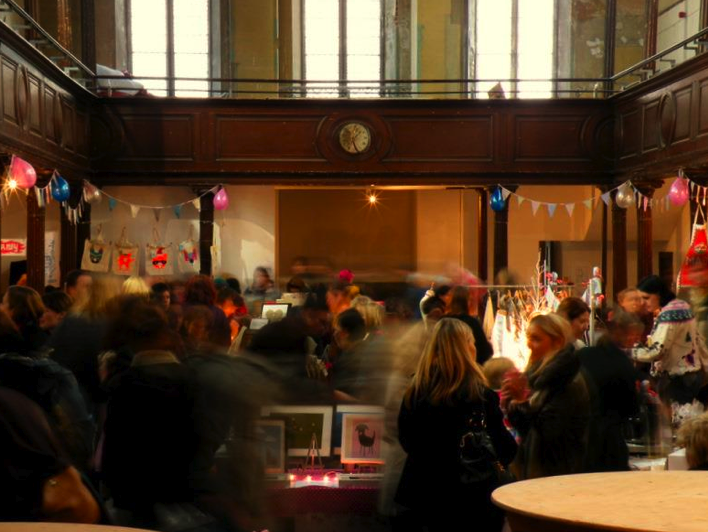 The craft markets are the hub of a range of activities intended to support Brighton designer makers such as the free Craftaganza Live talks at The Old Market.